U.S. Coast Guard Might Move Its Band From New London to Washington, D.C. The Coast Guard Band performs during the Coast Guard Festival Parade in Grand Haven, Michigan in August 2015. 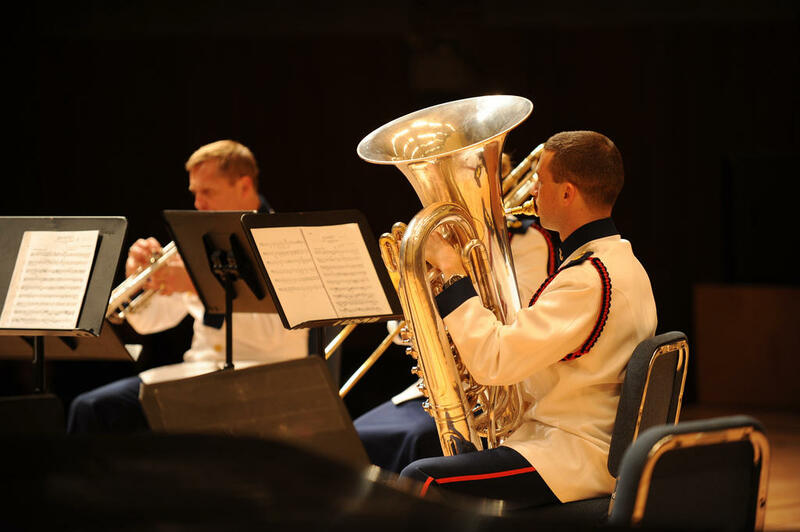 The United States Coast Guard Band has been a fixture in eastern Connecticut since its inception 90 years ago. But the Coast Guard is considering moving the ensemble to Washington, D.C. The Coast Guard Band has performed all over the world for presidents, prime ministers, and other dignitaries, and has shared the stage with a who's who of pop and classical music artists. Unlike the other military service bands, who all reside in Washington, D.C., the U.S. Coast Guard Band has called New London home since its creation in 1925. 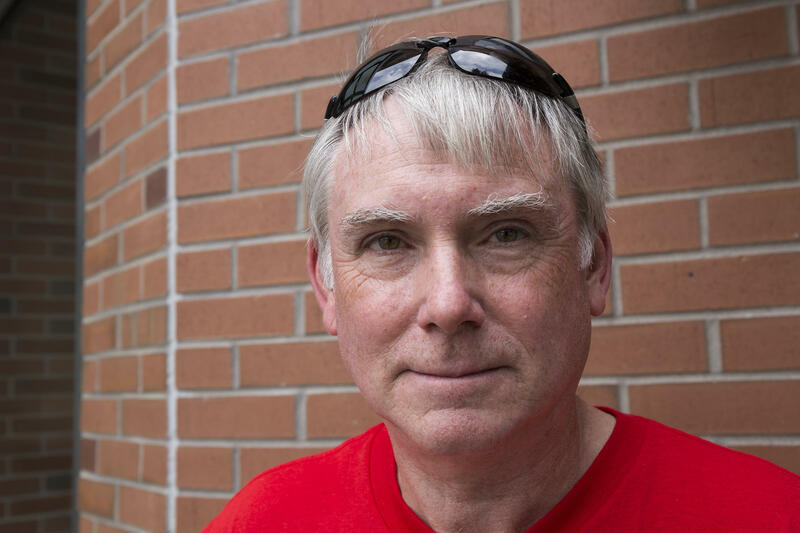 Oboist Steve Wade spent 30 years with the Coast Guard band before retiring in 2012. He said the ensemble is an essential part of the community. Oboist Steve Wade, a retired Coast Guard band member, in a WNPR file photo. "It has such a long tradition of community support." "The Coast Guard band will do a concert a month, those are free concerts and open to the public," Wade said. "The chamber music concerts are also free. We also did a lot of educational things, we would bus in kids from surrounding area schools and do a school program. It has such a long tradition of community support there." But that tradition may come to an end. The Coast Guard said they are engaged in what they call "pre-decisional activity" to explore the possibility of moving the 55 member band to D.C permanently. In a written statement, the Coast Guard said it wants to make sure the band is best positioned to fulfill its mission to represent the military branch. Connecticut Senator Richard Blumenthal has sent a letter to the commandant of the U.S. Coast Guard Admiral Paul Zukunft opposing the move. He said it will cost taxpayers a fortune, and with the future home of National Coast Guard Museum being planned for New London, it simply doesn't make sense. The U.S. Coast Guard Band Brass Quintet. "So it can be a real destination for the Coast Guard, that is splintered and divided if it moves the Coast Guard Band to Washington, D.C.," Blumenthal said. "Why detract from a destination with a museum, and the Coast Guard Academy? Because it's there, along with great music." The Coast Guard says no decision is expected until at least the spring of next year. President Barack Obama visited New London on Wednesday to give the keynote address at the U.S. Coast Guard Academy's 134th commencement. He told the new ensigns the Coast Guard is on the front line to help combat and adapt to climate change. The U.S. Coast Guard broke ground for its new museum in the City of New London. It will be the first museum honoring the Coast Guard in the nation. Just 40 minutes after polls closed in Connecticut, Democrat Michael Passero was giving his victory speech.